I can't believe there are only 19 Christmas shopping days left! I haven't bought any Christmas presents yet and instead of looking online for other people, I seem to get distracted by the amazing range of gift sets out that I like and begin to add even more to my own wishlist! So I thought I'd share with you my top picks of skincare gift sets for sale at the moment. I'm hoping to bring you a series of Christmassy posts over the next week or so, so keep your eyes peeled! I have never tried this brand before but the gorgeous bird cage packaging instantly jumped out at me! The set contains a 50ml Shower and Bath Foam, 30ml Bath Oil and 2 travel candles. Apparently the scent is a mixture of rose and jasmine and the products are free from parabens, SLS, artifical colours and fragrances. It sounds like the perfect set for a pamper! This is the most expensive set I've chosen, but it is oh so worth it for Elemental Herbology! This contains a 30ml Facial Glow Radiance Peel and 30ml Cell Food Serum and is described as the perfect pre and post party survival kit. I've tried both of these products and they both work so effectively that I highly recommend. I've seen this EOS set on the Selfridges website for £24.00 but found it on Amazon for this bargain price with free delivery! EOS lip balms are probably my all time favourite lip balms and I love fruity flavours, so I would love to find this under my Christmas tree! The flavours in the set are Summer Fruit, Pomegranate Raspberry, Strawberry Sorbet and Fresh Watermelon. You could also buy this and split the balms up into individual stocking fillers. I have been so close to buying this set myself but managed to hold back for the sake of my purse! It contains a 30ml Rosehip BioRegenerate Fruit & Seed Oil Blend, 50g Rosehip BioRegenerate Face Mask and an Organic Muslin Cloth. This set is described as perfect for dry complexions that need an intensive hydration boost and is suitable for the most sensitive skin. This Shea Butter set comes in a cute makeup bag and contains a 75ml Ultra Rich Shower Cream, 75ml Ultra Rich Body Lotion, Extra Gentle Soap - Milk, 10ml Hand Cream, 10ml Foot Cream and 3ml Organic Moisturisng Lip Balm. I've only ever tried the Shea Butter Hand Cream but if the rest is as good as this product, then this set is a real treat. Definitely a great way to be introduced to L'Occitane as a brand. This set is the cheapest of them all and would be great as a stocking filler. I love the cute tin with the bee design, which houses a Hand Salve, Lemon Butter Cuticle Creme and Beeswax Lip Balm Tube. 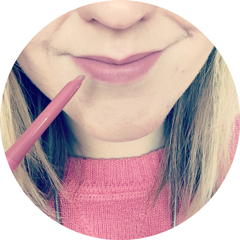 Burt's Bees do lots of great value gift sets, so if this one isn't what you're after I'd definitely recommend checking out the rest of their range. Origins did one of these baubles last year, which was only available at Selfridges (I was lucky enough to win one in a giveaway), but this year it's on their website too. It contains five samples of some of their most popular products, so it's perfect to try-before-you-buy-the-full-size! This year the samples are a 7ml Plantscription Serum, 7ml Drink Up Intensive Mask, 5ml GinZing Eye Cream, 5ml Modern Friction and a 5ml Make A Difference Plus Moisturiser. Another fab stocking filler! 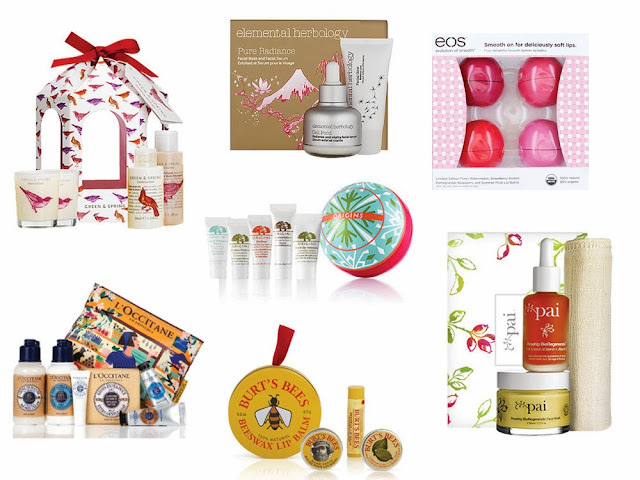 What skincare or bodycare sets do you have your eye on for Christmas - either for yourself or someone else? I hope this posts helps you with some ideas!